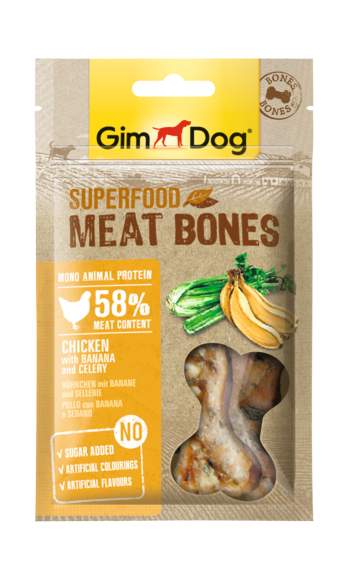 GimDog Superfood Meat Bones combine high quality chicken with selected superfoods. Only one animal protein source is used for these delicious snacks. Bananas are naturally rich in vitamin B6, folic acid and minerals, such as magnesium and potassium. Celery is rich in sodium and fibre.